Cryptocurrencies have made quite some headlines of late. And though cryptocurrencies are rapidly expanding, mainstream adoption is still facing barriers. It is attracting tons of attention from normal people to governments to hackers. Taking the ownership of security, privacy and user friendliness, Bitfia decided to deliver PINT Wallet platform by fixing vulnerabilities of current wallets. Highly Intuitive and strong, PINT is your Bank in your hand. Bitfia is a Singapore based Tech company with expertise in Blockchain and Cryptocurrencies. The key team members bring deep experience of Startup, IT Outsourcing and New Technologies such as Blockchain. Driven by passionate team from prestigious institutes like Indian Institute of Technologies, PINT project is rapidly achieving great success. PINT is a multicurrency mobile wallet for cryptocurrencies and PintP2P is a peer to peer marketplace for crypto-fiat transactions which is designed to work in a completely decentralized way. No actual transfer of your crypto assets happen unless the deal is sealed. Intensely secure and easy to use from a mobile phone, both PINT and PintP2P shall change the landscape of handling, buying and selling the cryptocurrencies and the team is utterly proud of it. Manoj is a veteran in IT Industry in Asia, having spent more than 2 decades. 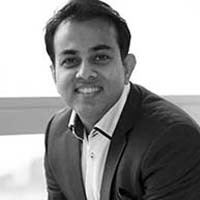 Experienced in working out on outsourcing deals, new technology and transformational solutions for various clients, he has worked in global organizations like ABB, Oracle, Satyam Computers, Birlasoft and Northgate UK. His startup team and idea was taken over by SIFY in 2000. An engineering graduate from Bhopal University, a Management graduate from FORE School of Management, Delhi and a Law graduate from Delhi University. 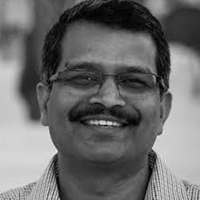 Manoj also mentors technology startups in India. 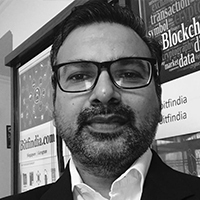 As a Blockchain evangelist, Manoj is currently building PINT platform which will have a highly secure wallet, Peer to Peer marketplace and spend functionalities. 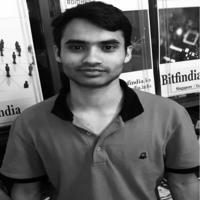 An engineer from Indian Institute of Technology (IIT) Varanasi, Nirmal got initiated into Bitcoin when he started mining it in 2012. As a full stack and blockchain developer and he is also a solution architect. He has been writing smart contracts on Ethereum since two years now. Previously, Nirmal has worked in multiple successful start-ups in India such as Nuvoex, Goibibo, PepperTap, Shadowfax and Shuttl as a developer and tech lead. He also co-founded Pykart, an unsuccessful e-logistics startup which gave him immense learning on start-up entrepreneurship. Prof Tan Wee Liang is renowned Strategic Management expert. 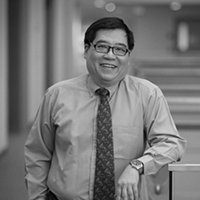 As a recipient of Public services Award, Prof Lee is an innovation and entrepreneurship guru. Under his strategic guidance, enterprises have experienced firm growth at a global scale. As an MIT graduate and PhD from Eindhoven University of Technology, Prof Tan is full time faculty at Lee Kong Chain School of business as a research expert in corporate strategy, strategic partnerships, international business and innovation. Dr Shridhar Lolla is well known operational excellence guru and advisor to many emerging technology start-ups. He handholds organizations in obtaining breakthrough performance. He has helped Startups on various aspects such as Strategy, Business Model, Market Strategy and Investment. Recently he helped Remedio – a successful health tech startup as part of its senior management team. He is a regular blogger and authored many books. Kishore M is a Serial Entrepreneur and Blockchain Catalyst connecting tech startup with VC/FO/PE. He has founded a Digital Asset P2P Exchange and currently is a Member of Singapore Fintech Association. Kishore has also worked in Silicon Valley and was an Ex Hedge Fund Manager. Kishore helps Bitfia in Strategy, Investment and building leadership. 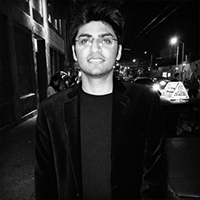 Swapnil is the CEO and Founder of ObserveAI, a Conversation Analytics company based out of San Francisco.Swapnil completed his bachelors in Computer Science from Indian Institute of Technology (IIT) Delhi Previous to ObserveAI, he was leading the user growth team at Twitter HQ. ObserveAI is backed by Y Combinator (W18). 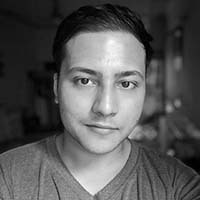 Vikram graduated from IIT(BHU) and is a Backend and Blockchain Developer. 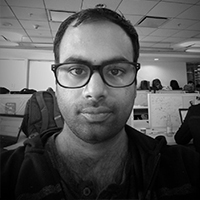 Vikram has an extensive programming and domain expertise. He is an active member in the open-source community. Abhishek is an engineering graduate from MDU with specialization in computer science. He is an active part of open source community and have competence knowledge of mobile applications development while using popular technologies android and react native. Apart from this, he is a reputed software engineer in developer communities like StackOverflow, GitHub. 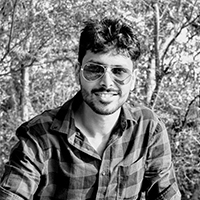 Using his proficient knowledge in Android and react native, he has a vital role in all aspects of both PINT wallet and P2P mobile applications development lifecycle including planning, designing, building, testing, and deployment..
Arif is an engineering graduate from Indian Institute of Technology, Varanasi. Arif delights in finding imaginative solutions for complex problems and moving ideas from good to great. He has a unique skill set of design strategy, user research, user interface design, and usability testing. Having 6 years of experience in design, his work is rooted in research, iteration, and open dialogue. Astha is an Engineering graduate from Punjab Engineering College India. She is a marketing professional with extensive brand and digital experience and spent last two years working in consumer marketing, integrated media strategy, digital marketing, traffic and media buying, content creation and brand building roles. She has an expertise in Google Ads, Facebook advertising, conversion rate optimization, ROI optimization, bid management, competitors research & campaign analysis. 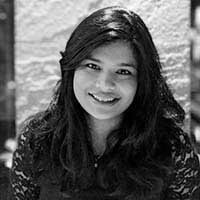 Astha is a successful Advertising Manager & Certified PPC Expert and is constantly implementing unique strategies for Bitfia to hit desired conversion goals and increase ROI. .
Bitfia formation as a fintech-blockchain company. Bitfia registered as a tech company in Singapore. PINT wallet alpha launched- most secure crypto wallet with multiple assets. PINT wallet launched for public. Family & friends invest in the company. Anti-theft functionality added in the wallet. Changelly added as a new Swap provider. PINT P2P - first decentralised marketplace for BTC & ETH with on-chain escrow launched. 50,000 users. PINT iOS version. USDT addition in PINT. ICO launcher. Bitfia launches Initial Exchange Offering (IEO). Crypto Payment Gateway - PintPay. Collateral Management Solution for lending in local currency.